Joe Paterno lost his job and much of his reputation due to overlooking similar behavior, but on a much smaller scale. The guy that did it is behind bars for the rest of his natural life. That leads to the question. Does the Catholic Church hold itself to a lower moral (and legal) standard than a college football program? And one more. Could the Pope himself (and his associates) be hiding this because he himself has some potential guilt? Burke wrote, “The corruption and filth which have entered into the life of the Church must be purified at their roots,” and then called for a full investigation of the allegations. Unfortunately, this Pope doesn't seem willing to step down at this point. I hope he continues to receive pressure from the Cardinals until he does. Sorry to have to disagree. God is not all forgiving. If He was there would be no place called hell. To be clear, that is not to say that God never forgives people's sins. He does, but there are considerations. Like where it says, GO AND SIN NO MORE! You apparently ignored Book 66 of the Holy Bible entirely. 20 Hilarious Celebrity Photos That Went Instantly Viral! The Vatican’s four-day summit on protecting minors ended Sunday with a whimper. There were no new “concrete, effective measures” to hold Catholic bishops accountable for ignoring and covering up sexual abuse, as Pope Francis had called for before the summit began. There were likewise no discussions of the link between sexual abuse and homosexuality among the clergy, the rampant abuse of adult seminarians by their superiors, or the case of disgraced former Archbishop Theodore McCarrick. Instead, the summit concluded with a 3,000-word speech by Francis that contained little of substance but was heavy on defensiveness and bureaucratese. Francis rattled off a list of “best practices” for ending violence against children compiled by the World Health Organization, and offered a meandering discussion about how a “great number of” abuse cases are “committed within families”—an obvious attempt to deflect attention from the putative subject of the summit: clerical sexual abuse. In the end, the summit accomplished almost nothing because it was designed to accomplish nothing. It was narrowly tailored to address only the sexual abuse of children, and only in a generalized way, without reference to the McCarrick affair or the problems it exposed in the American hierarchy. Never mind that the revelations about McCarrick’s sexual abuse of minors and seminarians precipitated this meeting, after Francis was accused of ignoring reports about McCarrick back in September. Never mind that more than 80 percent of abuse victims have been teenage males, or that the first reported victim of McCarrick was 17 at the time he was abused. Although Francis formally removed McCarrick from the priesthood days before the summit began, the summit shed no light on why the removal took so long, or why reports of McCarrick’s misdeeds were ignored for years. The reason for this is perhaps simple enough. To dig into all of that would require exposing the network of bishops and cardinals who knew about McCarrick’s predations but did nothing. Perhaps they did nothing because so many high-profile bishops and cardinals—including Cupich—are where they are today because of McCarrick, who was once one of the most influential prelates in the United States. Why Is the Vatican Not More Concerned? An unwillingness to be transparent about the McCarrick affair has been a feature, not a bug, of the Francis papacy. Last fall, Boston Cardinal Sean O’Malley and three other U.S. bishops met with Francis in Rome to explain their plan to vote on new accountability measures for bishops at a meeting of the U.S. Conference of Catholic Bishops in November. They also asked the pope for a Vatican investigation of the McCarrick case. To their surprise, Francis replied that he would not launch an investigation and suggested that the American bishops cancel their meeting in November and hold a spiritual retreat instead. The bishops went ahead with their meeting, intent on laying out new rules for bishops who ignore or cover up—or commit—abuse. But on the eve of the meeting, the Vatican ordered the president of the U.S. bishops’ conference, Cardinal Daniel DiNardo of Galveston-Houston, to cancel any votes on the measures, saying there had not been sufficient time to review them and that these matters would be taken up at the February summit in Rome. The result of this unexpected intervention was to throw the November meeting into chaos and dash all hopes for a substantive response to the abuse crisis by American bishops. Now that the Rome summit has come and gone, it’s painfully obvious that these accountability measures have been summarily ignored. It’s also obvious that there will be no forthcoming transparency about the McCarrick affair from the Vatican. For many American Catholics, this is almost intolerable. 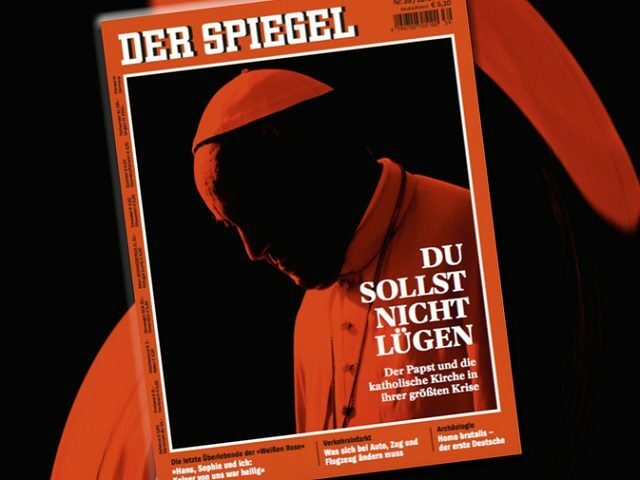 After all the sordid revelations of sexual abuse and cover-up in the American Catholic Church—to say nothing of the reports of abuse in Chile, Argentina, Honduras, and elsewhere—it strains credulity for Francis and other high-ranking prelates to pretend that moral indifference, sexual immorality, cover-ups, and cronyism aren’t at the heart of the clerical sexual abuse crisis. If there’s a silver lining in all this, it’s clarity about what must happen next. Real accountability, if it comes, will have to come from local bishops instituting policies in their own dioceses. There will be no universal or even national policy, at least not under Francis. What’s more, we will almost certainly have to wait until there’s a new pope in Rome before we find out for sure who knew about McCarrick, and when, and what they did—or didn’t—do about it. That’s probably not what Francis and his allies in the United States were hoping would be the message of this summit, but that’s what came through, loud and clear.